NPI from Suntec REIT’s Suntec City Mall increased 6.5% y-o-y (up 16.3% y-o-y excluding contribution to sinking fund) after completion of asset enhancement. Maintain HOLD for Suntec REIT (entry price: S$1.83). SUNTEC REAL ESTATE INV TRUST (SGX:T82U, Suntec REIT) reported 4Q18 DPU of 2.590 S cents (- 0.5% y-o-y), brining 2018 DPU to 9.988 S cents (-0.2% y-o-y), or 101% of our full-year forecast. 4Q18 gross revenue increased 7.0% y-o-y due to higher contributions from Suntec Singapore (convention), 177 Pacific Highway and Suntec City Mall. 4Q18 NPI grew 2.3% y-o-y. Excluding sinking fund contribution of S$4.8m for Suntec City, NPI would have increased10.4% y-o-y in 4Q18. 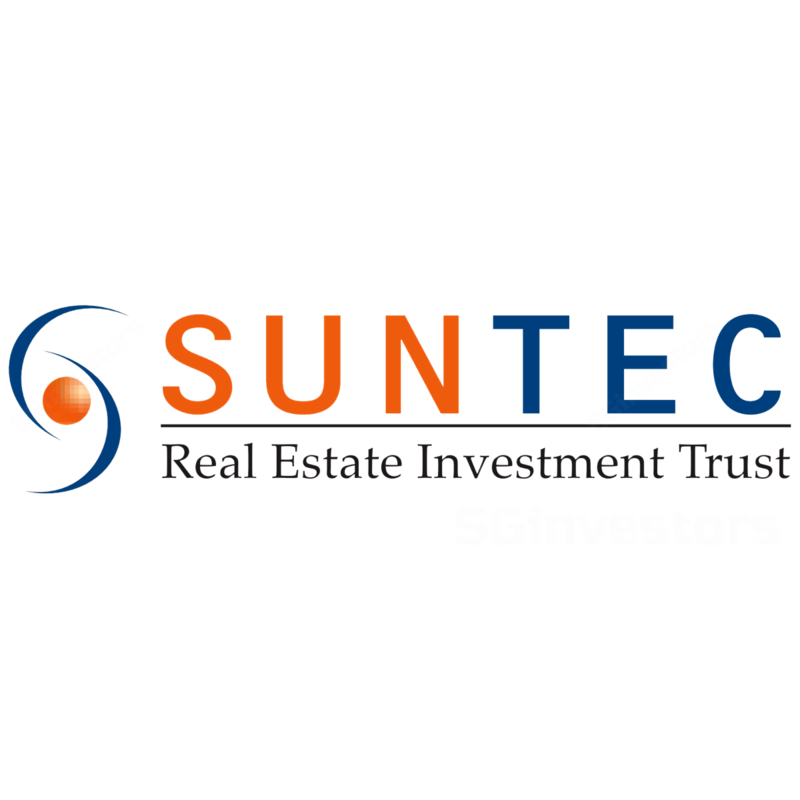 Capital distribution of S$12.5m accounted for 18% of Suntec REIT’s distributable income in 4Q18. Management intends to continue topping up distributable income, utilising gains of S$70m from the divestment of Park Mall. Singapore office market expected to improve. The Singapore office portfolio achieved an overall committed occupancy of 98.5% in 2018 (2017: 99.7%). The committed occupancies for Suntec City Office, One Raffles Quay and Marina Bay Financial Centre Properties were 98.6%, 96.1% and 100% respectively. Some 165,000sf of office NLA was leased this quarter (3Q18: 268,00sf) with 48% being new leases (3Q18: 66%). Average rent secured increased 13.8% y-o-y to S$9.14psf pm in 4Q18. Management noted limited supply coming on-stream in 2019, and guided improvements in occupancy and rentals for the Singapore office portfolio. Singapore office portfolio achieved positive rental reversion of 3% in 2018. Management expects another 3% improvement in 2019. Overall Singapore retail occupancy improved 0.6ppt to 99.0% in 2018, while tenant retention was stable at 55%. About 59,000sf of leases were signed during the quarter (3Q18: 73,000sf) with 42% being new leases. Suntec City Mall achieved positive rental reversion of 10% in 2018. Management expects another 5% improvement in 2019. The repositioning of Suntec City Mall is completed with West Wing, North Wing and East Wing focusing on fashion, sports & wellness and family entertainment respectively. The rejuvenated mall has achieved a 4.8% increase in footfall and 5.2% rise in tenants’ sales. Suntec has developed a QuickGuide app to engage and help shoppers navigate Suntec City Mall. Australia office market continues on uptrend. 177 Pacific Highway maintained committed occupancy of 100%. Occupancy for Southgate Complex improved 2ppt q-o-q to 98.8% in 4Q18. The office markets in Sydney and Melbourne benefitted from strong occupier demand and limited new supply. 9 Penang Road (in Singapore) is 60% completed and is expected to fully complete construction by end-19. Management has received offers from prospective anchor tenants. 477 Collins Street (in Melbourne) is 52% completed and is expected to fully complete construction by mid-20. The project has achieved committed occupancy of 65.8%. Including heads of agreement signed to-date representing 16.2% of NLA, total occupancy is 82%. Management plans to grow through acquisitions. For overseas expansion, management intends to focus on deepening Suntec REIT’s presence in Australia. Suntec REIT has a good track record in Australia and could leverage ARA’s local property management office. Management is likely to focus on Sydney and Melbourne, including CBD fringe. Gearing was relatively unchanged at 38.1%. Suntec REIT has completed refinancing of S$1.2b in 2018, which accounted for 34% of its total debt outstanding. Maintain HOLD and target price of S$2.01, based on DDM (required return: 7.0% and terminal growth of 2.3%).